A campaign sign is pictured on November 3, 2014. Republicans are poised to pick up seats and could win control of the US Senate on Tuesday in midterm elections heavily influenced by deep voter dissatisfaction with President Barack Obama's job performance. 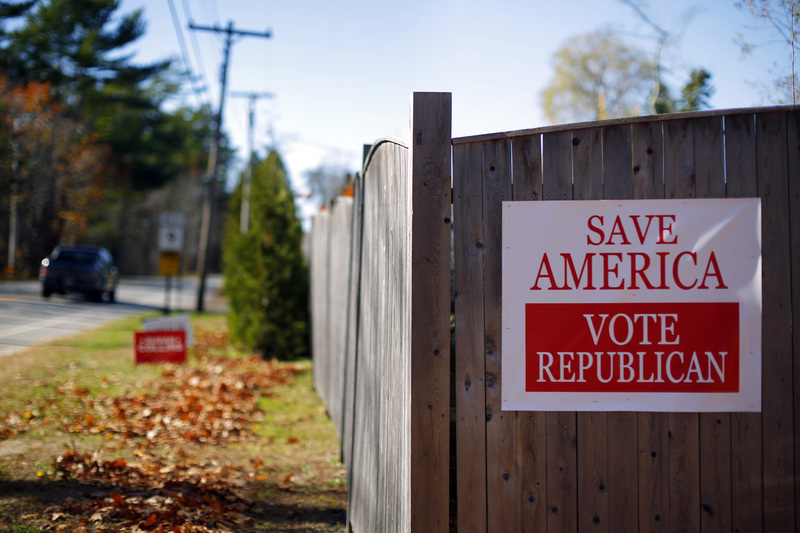 A campaign sign is pictured November 3, 2014. Republicans are poised to pick up seats and could win control of the U.S. Senate on Tuesday in midterm elections heavily influenced by deep voter dissatisfaction with President Barack Obama's job performance.